Among many food series, only those with creativity can attract more attention and get remembered by customers. Customizing creative tube boxes packaging for candies, you should focus on customers’ personal demand as the point of selling, using emotional approach for advertising, thus you can attract lots of loyal customers and improve the sales. This cylinder box package is incredibly inventive, using totally background colors to represent different people’s temperament. The information saying “Life isn’t a script, I am crazy, i am unable to outline it”, the targeted audience is the young group with individuality and publicity; “The body and the soul, there’s forever one on the road, there’s a dream to travel to the waves.” The slogan is even additional recognized by the buyer group that is seeking for freedom. The package is printed with completely different slogans which hit directly on the softness of the customers’ hearts, and also the customers would be loyal. As every custom product packaging with brand makes the saying and packaging recognized by customers, the aim of brand promotion is additionally achieved. 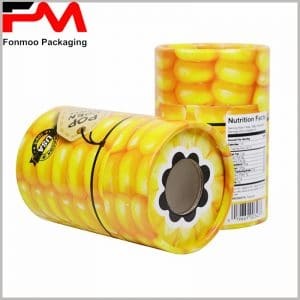 When customizing tube boxes for packaging, it is important to note that the interface of the affixed paper should be handled very well and no visible creases or openings, which is the basic requirement for custom high-quality packaging. Although the tube packaging cover is mostly papery, it is possible to customize the wood cover or plastic cover depending on the product. Particularly worth mentioning is that we have a professional packaging design team and proofing department that can provide samples for you free of charge.